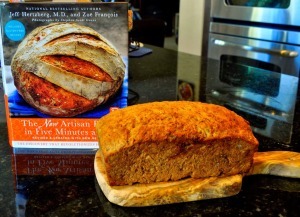 I was delighted when a representative from Thomas Dunne Books sent me a review copy of the just-released The New Artisan Bread in Five Minutes Day by Jeff Herzberg, M.D., & Zoe Francois! Oatmeal Maple Bread fresh from the oven! For old-school bakers, it’s hard to believe that good yeast bread can be made in five minutes a day. It requires a bit of imagination and letting go of what we know to be true through our experience of punching, kneading, and shaping bread with flour-coated hands. We know what it takes to make bread; we’ve done it dozens of times. So, when someone comes along and proposes that we can do easier, faster, and just as well, using a revolutionary method, we can’t really believe it until we try it for ourselves. And, I’m here to tell you, it works! 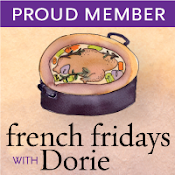 If you don’t believe me, check out my friend, Chris’ blog, The Cafe Sucre Farine. She bakes their breads all the time. So, what’s the secret? You mix the bread dough, let it rise, then place it in the refrigerator where it awaits your creativity for up to a week. When you’re ready to bake, take out the amount of dough you want, shape it, and let it rise again, then bake it. Really. That’s it. No more punching or kneading. The only downside, is you may have to take up kickboxing since you can no longer take your frustrations out on your bread dough! This 382-page book contains comprehensive tutorials to answer all the questions you have about bread-making and why this technique works. The Master Recipe chapter alone has over 40 pages of how you can use the same basic dough to make all kinds of shapes and styles of bread. And the following chapters are structured the same way. This book inludes more than 30 brand new recipes and an entire chapter is devoted to gluten-free baking. 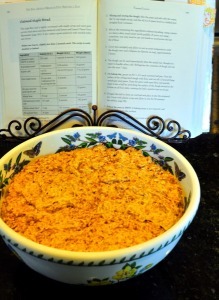 Of course, in order to give the book a comprehensive review, I decided I needed to try a recipe. 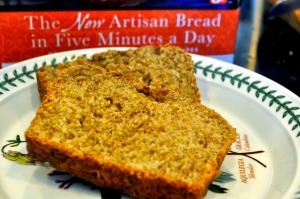 I love bread with lots of texture, so I chose to make Oatmeal Maple Bread from the Peasant Loaves chapter. This versatile bread dough can be baked as is, or doctored up (no pun intended!) to include such yummy items as dates and walnuts. The texture and flavor are wonderful – oh, and the smell of this bread baking will truly whet your appetite! I mixed up the dough on Saturday night, let it rise, then placed it in the refrigerator overnight. Sunday morning, I removed half, shaped it into a regular loaf pan, let it rise while I went to the Farmers’ Market, then brushed the top with Maple Syrup and popped it in the oven for 50 minutes when I got home. This wonderful, fragrant loaf of bread was ready just in time to serve warm for lunch! 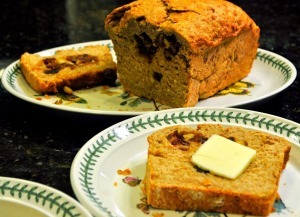 Loaded with Dates & Walnuts! 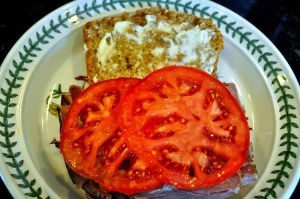 John made a roast beef sandwich, but I enjoyed it with butter and Sarabeth’s Raspberry and Lime Spreadable fruit. It was great both ways. John said it reminds him of the round loaves he had with the Ploughman’s Lunch at pubs when he lived in England. It’s light in texture, full of flavor, and just lightly sweet – perfect to serve with something sweet or savory. 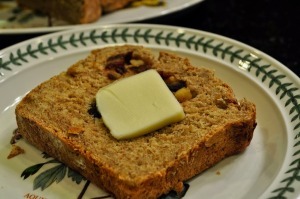 Monday and Tuesday, we enjoyed the rest of the bread for breakfast slathered with Peanut Butter. It stayed fresh and delicious. Tonight, I pulled the remaining dough from the refrigerator, shaped it, covered it with chopped dates and walnuts, rolled it up jelly-roll style and shaped it to fit in a loaf pan. 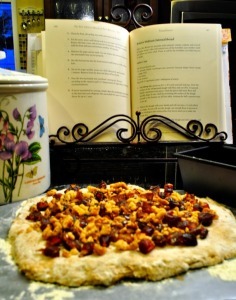 The dough continued to rise while we prepared and ate dinner, then baked for 45 minutes. Once again, it turned out perfectly. 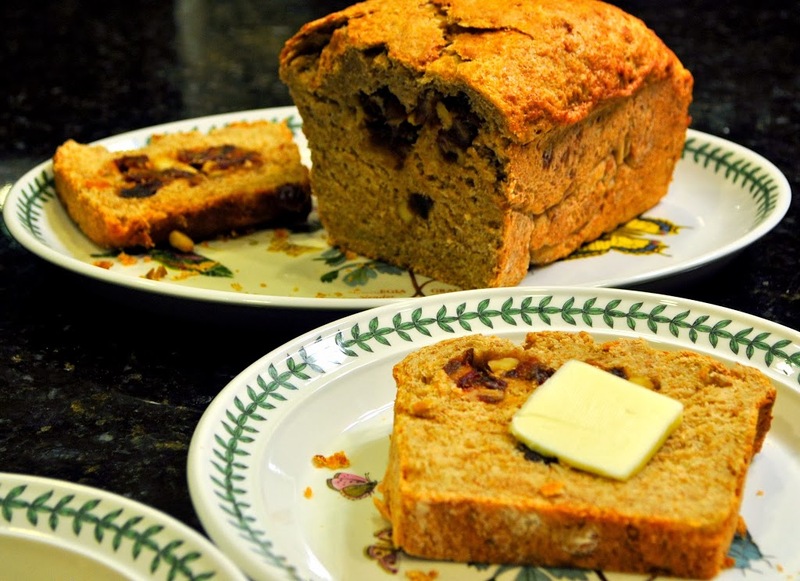 Although the variation in the book calls for raisins, I prefer dates in baked goods – they are just as sweet as raisins, but have a smoother texture. I always use them in my Oatmeal Cookies. This version doesn’t even need butter (but, don’t let that stop you.)! So, novice, or seasoned baker, this book with change your perspective and help you master a process that intimidates lots of home bakers. The New Artisan Bread in Five Minutes a Day is a worthwhile investment and would make a lovely gift for all the bakers in your life! Stay tuned to my blog because you’re going to see a lot more baking from this book! Keep an open mind, and make room for a new favorite cookbook on your kitchen bookshelf. It was released on the 22nd, so be sure to get your copy just in time for all your holiday baking! 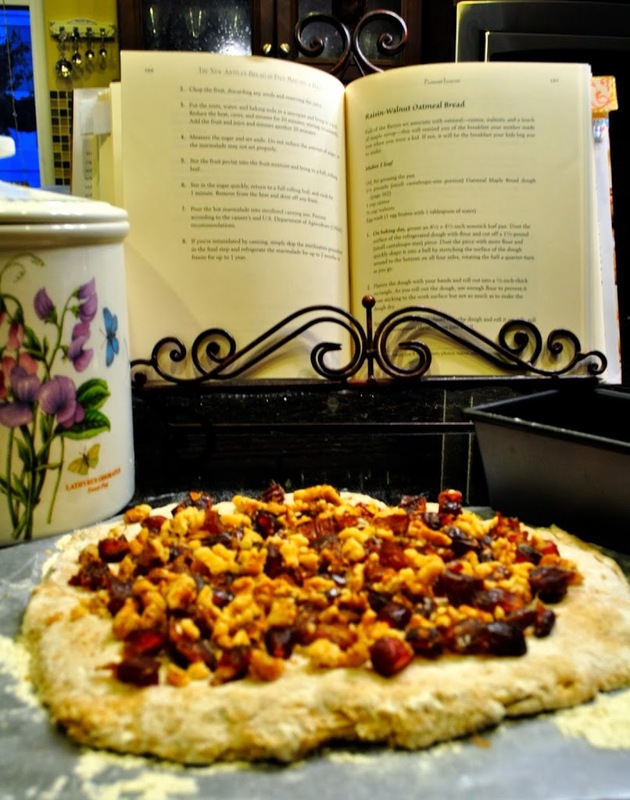 I love their books – I have the original version of this book (as well as their grain based & pizza versions – they have a recipe in that one for soft almost biscuit like pizza crust that my girls LOVE). This was the second bread book in my collection – and still a favorite. Keep enjoying the new book! It sounded like they added some new recipes to this one. Hmm, that sounds really interesting. I am definitely going to look into that. Great review! 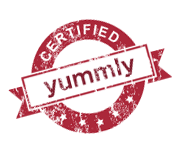 Thank you for the lovely review, we’re thrilled you enjoyed the bread! Oatmeal maple bread sounds wonderful! I just bought my copy so I will be trying this recipe. I’ve been playing with the brioche dough this week and absolutely loving it! Susan, first, this is such a well-written and researched book review. I think it is the first requested by the publisher that you have done, isn’t it? Melissa gave me the original cookbook years ago. She uses it all the time and we quickly put together the basic batter for my fridge. In Nevada I made bread often and especially after I started to read Chris’ Blog. Yes, she bakes from the original Artisan Bread alot. Although I haven’t attempted to do this at high altitude, I do look forward to making many recipes from the old (and, the new) book during the winter in California. Nicely done and I am certain that people will want to buy the book after reading your Post.